In April, the STRAPPA team hosted a visiting researcher from our UK partner project “Reframing Russia for the Global Mediasphere” (University of Manchester and Open University). Teemu Oivo interviewed Precious Chatterje-Doody (University of Manchester) to learn more about her ongoing research, and the work of the Reframing Russia project group. For more information about the project and an overview of recent publications, visit the project website. You are a part of the project “Reframing Russia for the Global Mediasphere: From Cold War to ‘Information War’?” Could you tell us what this project is about? One of the key motivations behind starting the project was the knowledge that, although the topic of so-called ‘information war’ gets much attention, particularly at the moment, a lot of the work ongoing within it talks about quite different issues. In terms of what RT specifically is doing, there have been several studies into specific elements of that, but this was really an attempt to provide a comprehensive overview of everything that the network is involved in across its multiple platforms and to work out the extent to which that resonates with audiences. Generally, a lot of work on Russian propaganda kind of assumes that exposure means influence but that is not necessarily evidence. So one of the things that we are quite keen to do is to find out whether or not someone’s exposure to RT’s content does indicate that that actually influences the person watching. RT is a broadcaster that is available in multiple languages. Does the project follow these different language broadcasts? Within the project, the main focus is the English language output, but we are doing some comparative work. Within our team, we have researchers making comparisons with the Russian version of RT and the German and the French versions relatively frequently as part of specific case studies that we are doing. We’ve also made some collaborative links with external researchers looking at RT Arabic and Spanish. What we have noticed so far is that these outputs are differentiated by the language services and the supposed target audiences. I do not think this is necessarily always recognized. RT’s outputs are quite tailored for the particular regulatory environments and market environments that they are operating in. One of the things I mentioned in yesterday’s seminar [STRAPPA seminar on 4 April, read full report here] is how RT France, which is quite a new arm of the network, was the only one to cover the ballot stuffing in the Russian elections and that was because they were under a lot of pressure at the time to prove their independence and in particular pressure from Macron. By the same token, the UK intended broadcast output – you can almost read in mirror image the shape of British broadcast regulations in what RT says and does not say and how it constructs those broadcast outputs. Going back to the concept of ‘information war’: the term is included in Reframing Russia’s project name and, earlier, you referred to it as a concept that is both topical and potentially problematic. How would you appreciate its usability in academic research? I think it is a really problematic term, and you will notice that in the name of our project: it is in scare quotes and followed by a question mark. Although the term gets used a lot, we are quite skeptical about the extent to which it is actually analytically useful. One of the real problems is that it is used as the overarching concept for what are actually lots of disparate processes. It implies a nice neat strategic linear picture, when the reality that we are uncovering in our research on RT is that a lot of what it produces is much more ad hoc than you might imagine. Moreover, it is very responsive to particular demands within the industry, both in terms of the specific audience expectations I mentioned and also how receptive the network is to its journalists’ individual initiatives, which can be quite experimental. To be honest, I think it makes sense to move away from the term of ‘information warfare’ as an overarching concept, particularly when it comes to broadcasting. Why exactly did you choose to focus on RT and what would be different if you would be doing research on, for example, Sputnik? The focus on RT follows on from an earlier project on Russian domestic broadcasting, with a shift to see how Russia has been projected to global audiences. It’s also particularly relevant because RT’s output has been highly politicized and generated a lot of concern, but this isn’t informed with evidence about the impact the network has on receiving audiences. Actually, the picture with Sputnik, is slightly different. We have a PhD researcher associated with our project who is doing an investigation of Sputnik, and in the not too distant future you will be able to find out more about that through our website (https://reframingrussia.com/). In your presentation at the STRAPPA seminar on 4 April, you talked about the repackaging of RT’s own branding. Could you elaborate on what you mean by this repackaging? RT’s whole brand image is based around offering alternatives to mainstream media discourses and that means offering alternative perspectives and marginal views. In a way, it gives the network an advantage for its brand coherence in the contemporary media environment, because there is rising mistrust in political institutions and media institutions across the board. Now if within that environment, your brand identity is based on being a trusted reliable source or creating an impartial view, such as the BBC, then that does not match up with the reality of rising mistrust. It is easier with a monolithic kind of identity, for people to then project their mistrust onto it. RT’s brand identity is much more responsive, much more changeable. They can pick and choose alternative discourses. So it does not necessarily matter that what it puts out is not coherent overall, or that it is changeable to accommodate these different situations. That all fits in its brand identity. So if somebody wishes to choose RT as whatever kind of alternative to the mainstream, then that still works. In that way I think it is more able to maintain its brand coherence in an environment of mistrust. If we look towards the future development of RT, do you think we can expect changes in the strategies they employ, or simply more of the same? I think there are some trends to watch out for with RT. First, as I said, they do have an advantage in terms of brand coherence in the current media environment, but that does not necessarily translate into an increase of influence or reach. Still, the overall reach of RT appears to be pretty small; its broadcast audiences are tiny and even its online audience is quite fragmented. So, it doesn’t really make sense to speak of one audience for RT. Different types of its output are quite clearly oriented towards different types of people and different groups, and our audience research indicates that people don’t necessarily migrate from following, say, special projects, to news content. One thing that we have found when we have been looking at the online networks of RT consumers, is that people who follow RT on Twitter – which again is not representative of anything else but that – tend to do so as part of a broader media diet of all kinds of news content. The bulk of those followers would fall into a kind of ‘news junkies’ category. They just consult RT as one of many news sources. The overall profile does not look massively different from the consumers of other news sources. We are still building on these networks so the picture might change. What is interesting is that there is a small group of about three percent of the network that we have built up so far that consumes RT as well as what we would think of as conspiratorial sources, such as Infowars. At the minute, we haven’t found a similar group within the followers of mainstream news networks we’re comparing it to, but this research is still ongoing so we’ll have to see where it leads. However, although RT trades on its outsider status, the network is quite aware of the toxic nature of the brand and works really hard to maintain the outsider status without promoting that toxicity. For instance, with the British regulator Ofcom sanctioning RT – they have taken it to judicial review, because they objected the terms on which the ruling was made [read more here]. They are basically saying that they tried in good faith to stick to the rules, but it’s impossible since they’re inherently subjective. They are going through existing institutional structures and are emphasizing their fit within the existing media regulatory norms, which I find very interesting. The final thing that RT is doing increasingly is proxy projects, which don’t necessarily have RT branding. The association is not hidden, and they are linked through RT outlets, like YouTube channels. But if you stumbled across that particular outlet, you would not automatically know that it was linked to RT. There are various types of these, like a documentary film company, a short video distributor aimed at producing viral videos for social media, and a kind of news aggregator based on a rebooted samizdat idea. It is very interesting that they are diversifying like this: all these initiatives cohere with the general stated aims of RT, but they do not clearly display its branding. 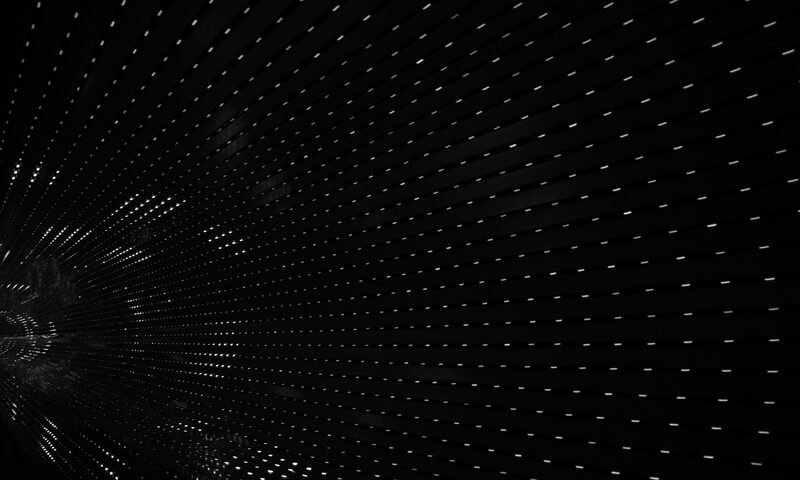 What are you most interested in pursuing in your research right now and in the near future? One of the things I am really interested in at the moment, is situating RT in the broader context of media trends. What I think that RT does…it is not necessarily all that new or different and there are lots of ‘alternative’ news sources that we could compare it to. But as an international broadcaster, RT is particularly visible, and its techniques are coherent with its brand identity and relevant to a media environment of rising mistrust and choice. Other broadcasters are influenced by the same trends, so I would like to have much better appreciation of how these trends influence not only RT, but other media actors, and the impacts that has on audiences as well. At the moment, I am also working on a project on conspiracy theories; conspiracy in the media and the extent to which rising popular mistrust can help particular conspiratorial narratives gain traction and appear plausible. Especially, when they differ from standard mainstream accounts and resonate with people’s existing feelings and subjectivities. That is my main focus at the moment, and it will form part of a book coming out next year, co-authored with Ilya Yablokov. For more information on Precious Chatterje-Doody and her current research, see also https://www.preciouschatterjedoody.com/. 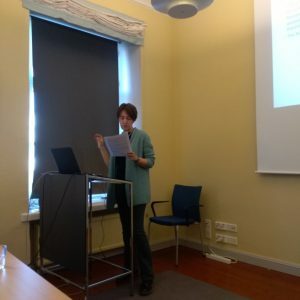 On 4 April, STRAPPA organised its first seminar on “Persuasion, conspiracy thinking and the securitisation of information in Russia and beyond” at the Aleksanteri institute. The event brought together a diverse audience of people from various backgrounds – from international relations to computer science – who were interested in the themes of the day. In the opening presentation, Mariëlle Wijermars introduced the rationale behind the STRAPPA project and its aims for the coming three years. The first panel of guest presentations then discussed Russia’s state-funded international broadcaster RT (formerly, Russia Today). 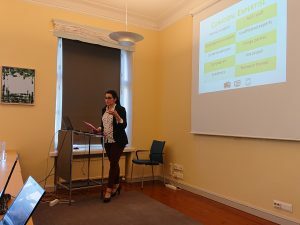 Precious Chatterje-Doody (University of Manchester), a visiting researcher from STRAPPA’s partner project “Reframing Russia for the Global Mediasphere”, presented a paper on “Curation, legitimation and populist communication: the packaging of global politics on RT”. She spoke about the controversy that RT has stirred in several western states, among others in the United Kingdom, and the ongoing policy-level discussions on (whether and) what should be done in about it. Chatterje-Doody also highlighted the flexibility of RT’s self-branding in response to the demands of media environments in different countries and over time. Ilya Yablokov (University of Leeds) continued the discussion on RT by focusing on the issue of conspiracy theories and its main talking heads on the channel. He showed how, for one of the shows discussed, the first US broadcast was dedicated to 9/11 conspiracy theories and such theories have remained part of RT’s niche ever since. Similar to what Chatterje-Doody argued in her presentation, Yablokov also found that there is a significant variety in the content that is produced for different international audiences. The second panel started with a paper by Vera Zvereva (University of Jyväskylä) on “Persuasion, mockery, and ambiguity: recent changes in pro-state discourse on Runet”. Zvereva discussed how the language used by Russian senior government officials has gradually converged with the colloquial language used on the streets and online. Whereas in 1999, language experts criticised Vladimir Putin’s tough language regarding measures to counter terrorism, it has by now become apparent that this kind of populist language resonates well with significant parts of the population and is actively used by various government officials, breaking with traditional models of official speech. 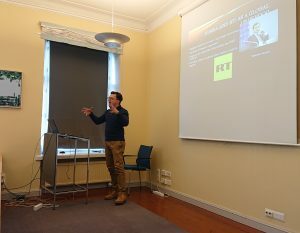 The concluding presentation of the seminar, by STRAPPA researcher Teemu Oivo (University of Helsinki/University of Eastern Finland), discussed how Russian TV represented Western journalism in the wake of the downing of Malaysian Airlines passenger jet MH17 over Eastern Ukraine. Oivo focused on how Russian media profiled normative western journalism and its consumers vis-à-vis their Russian peers. He argued that the production of attractive and aversive audience profiles plays a significant role in Russian television, as well as the inclusion of alternative interpretations of contested media events. The STRAPPA project is hosting an afternoon seminar on 4 April on ‘Persuasion, conspiracy thinking and the securitisation of information in Russia and beyond’. We are very happy that several of our network partners will join us to share their research (for the full programme and list of speakers, see below). Attendance is free, but registration in advance is required. Please register by 29 March by clicking here. In recent years, Russia’s state-funded international broadcaster RT (Russia Today) has become the focus of significant international scrutiny: British MPs have debated a ban; France has denied accreditation to RT France journalists; and the network was forced to register as a foreign agent in the USA. Even the network’s former Head of Social recognises the “toxic” nature of the brand. In the face of such challenges, how does RT package its outputs in ways intended to resonate with target audiences? This paper introduces 3 core tactics in RT’s playbook: curation of topics and expertise; (de)legitimation of key players’ actions; and use of populist communication logics. What is the US government involved in to conspire against its citizens and other good-willing people in the world? What happened on 9/11? Why the US is interested in spreading LGBT propaganda in Russia? How does the world look like according to the famous conspiracy theorist Jesse Ventura? This paper is dedicated to RT’s most overtly conspiratorial output: the shows ‘The Truthseeker’ and ‘The World According to Jesse Ventura’. These shows explicitly designed to seek out facts that established institutions and power structures have allegedly sought to cover up. The two programmes under investigation date from the network’s inception, and its present-day programming respectively. My analysis reveals an evolution over time in the representational strategies used to convey conspiracy theories on RT. I provide the framework to understand how conspiracy theories operate over time since 2010, when RT launched its broadcasting in the US, and I explore how these theories are being applied to seek support of various subnational communities inside the US. This paper focuses on the discursive convergence of the pro-state mainstream media, social media as used by Russian state officials, and the more dubious resources associated with the Federal News Agency (FAN) and with pro-Kremlin trolls. It aims to demonstrate that the boundaries between them are becoming harder to define. Thus, the ambiguity of messages has become more central to the language of political communication in Russian digital media. On the one hand, part of the FAN media shares the agenda of RIA Novosti, RT, and others, and multiplies and refracts their news, opinions, and interpretations on the Internet, keeping readers within the circle of resources and the discursive space that they try to manage. On the other hand, the media discourse of Russian officials themselves has become so rich in street parlance, undiplomatic language, and features of trolling that what they say no longer stands out against the background of speech by less respectable media agents. In July 2014, a Russian BUK missile downed the Malaysian passenger plane MH17 in the airspace of Eastern Ukraine, killing 298 people. What followed this tragedy was one of the most talked about conflicts between Russian and ‘western’ media spheres that were more transnational than before. I have studied the discrediting portrayals of ‘western’ journalism in Russian government affiliated television news programs and talk shows two weeks from the downing. In five years retrospective, these techniques still appear relevant. In the beginning of April, the STRAPPA project is hosting visiting researcher Ilya Yablokov from the University of Leeds. During his stay, he will present his research on conspiracy theories and Russian state-broadcaster RT at our seminar ‘Persuasion, Conspiracy and the Securitisation of Information in Russia and Beyond’ on 4 April. Dr. Ilya Yablokov is a Lecturer at the University of Leeds. He is a specialist in Media and Communication Studies and the history of Russian media. He has conducted numerous studies in this field, principally employing media analysis methodology and in-depth interviews of Russian journalists. His book Fortress Russia: Conspiracy Theories in the Post-Soviet World (Polity, 2018) studies how Russian political and intellectual elites develop and disseminate conspiracy theories through the media. Currently, Ilya is working on a monograph analyzing the output of Russia’s international broadcaster Russia Today. In the beginning of April, the STRAPPA project is hosting visiting researcher Precious Chatterje-Doody from the University of Manchester. During her stay, she will present her research on Russian state-broadcaster RT at our seminar ‘Persuasion, Conspiracy and the Securitisation of Information in Russia and Beyond’ on 4 April. Dr. Precious N Chatterje-Doody is a Research Associate on the “Reframing Russia for the Global Mediasphere: from Cold War to ‘information war’?” project at The University of Manchester. 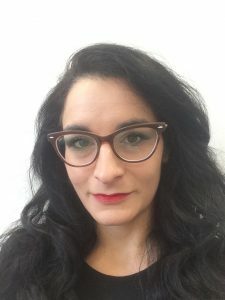 She obtained her PhD in Politics from The University of Manchester in 2015 and has published research on the politics of national identity, historical narrative, identity construction and representation, Russian foreign and security policy and global governance.